The Iranian president says the new sanctions the US is to re-impose on Iran in November will have no negative impact on Tehran. Speaking in a Wednesday session of the Cabinet, Hassan Rouhani said no one in Iran should even think of the negative impacts of the US’ November sanctions as nothing will happen then. Rouhani said in recent months Washington has spared no chance to boost its anti-Iran pressure, leaving no substantial steps for the country to take to further increase pressure on Iran in November. The president said the US government’s measures have proven detrimental to the countries in Europe and Asia and even the US itself, and the new policy will bring nothing but failure for the country. The US reinstated parts of anti-Iran sanctions suspended under the nuclear accord weeks ago and is set to restore sanctions on oil and transactions with the central bank of Iran in November. 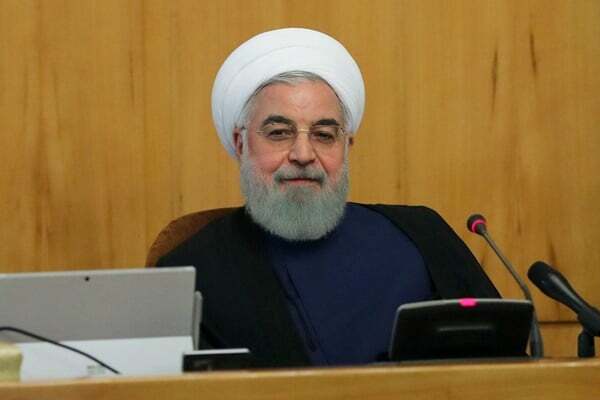 Rouhani further described this year’s United Nations General Assembly as a great victory for Iran in its standoff with the bullying US, saying Washington was unprecedentedly sidelined in this year’s forum. He said Americans were after advancing their anti-Iran policy in this year’s meeting, but they failed to score any goals. The president said Iranians diplomats managed to push the US to the sidelines during this year’s UNGA. “For the first time, Iran was seen as a country favouring law, honouring commitments, multilateral deals and multilateralism, and the US was known as a violator of international norms and a country that has stood against the world,” he said. Rouhani said a majority of countries supported Iran’s position on JCPOA and censured the US reinstating anti-Iran sanctions. “Today, the global public opinion sides with Iran and even inside the US, many politicians and people believe Iran is on the right path and they do not approve of US government’s measures,” he said.